No. 2 in Tina's Nudes Series. 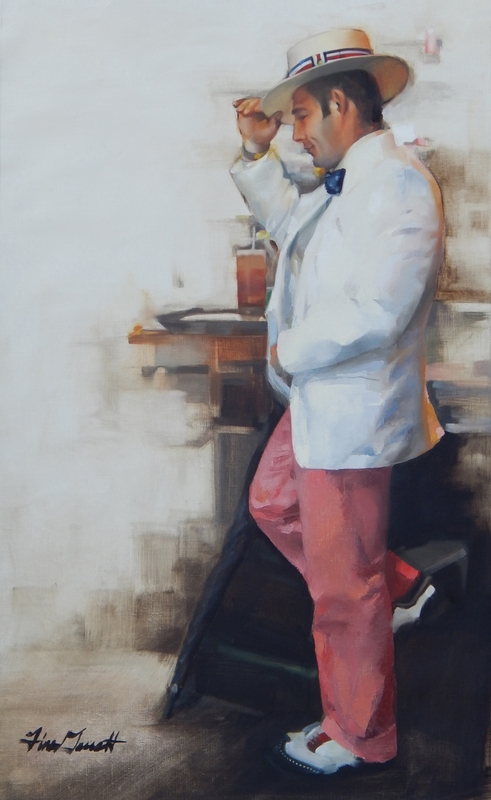 Oil Painters of America Fall Online Showcase 3rd Prize Winner! No. 4 in the Vintage est Nouveau series, String of Pearls 30" x 40" is a top 100 finalist in Figurativas 2015 hosted by the Foundation of the Arts and Artists at the Museum of Modern Art Europe, (MEAM) and a National Oil and Acrylic Painter's Society Best of America Best Oil Painting by a Signature Artist Award winner. 2015 ARC Salon Purchase Award Winner! Oil Painters Of America National Exhibition Finalist. 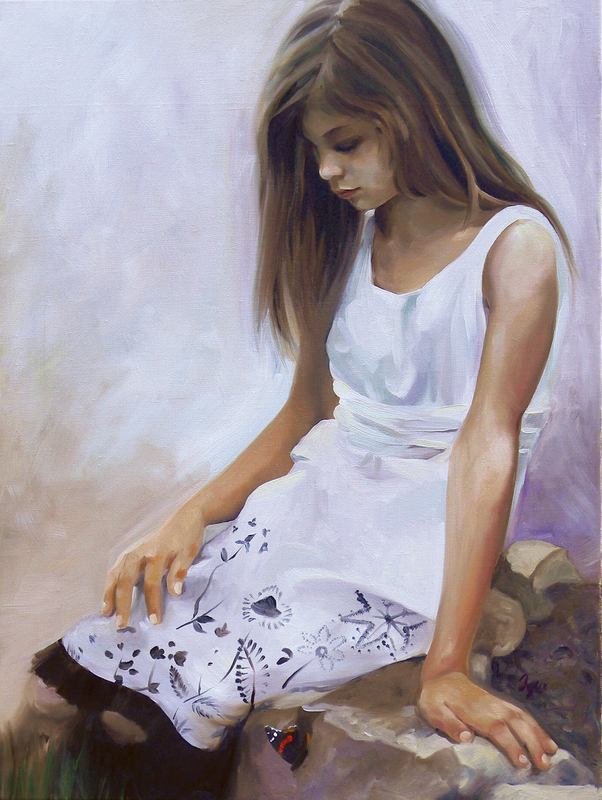 National Oil and Acrylic Painter's Society Spring Online Exhibition Award of Excellence. No. 5 in the Vintage est Nouveau series. No. 1 in Tina's Nudes Series, "Lueur", meaning 'Glow' in French. No. 3 New Orleans Series. No. 2 New Orleans Series: Limited-Edition Prints available. No. 3 New York Series. 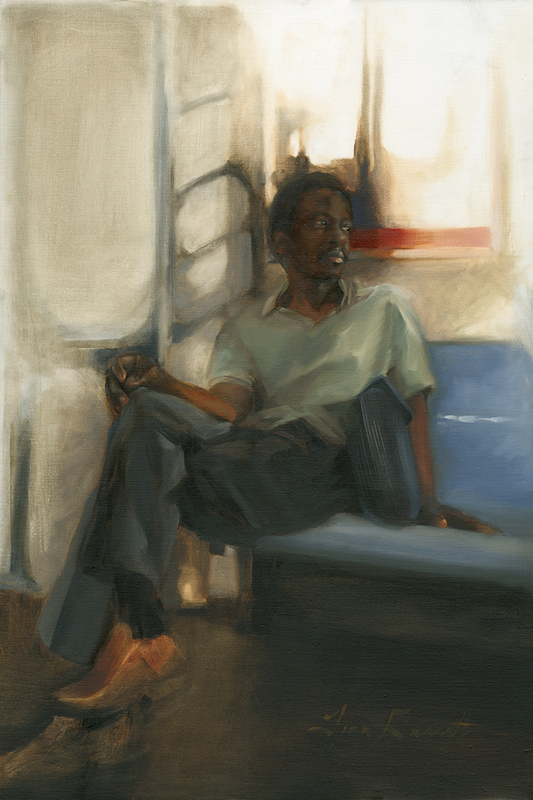 One of Tina's earliest works and first award winning piece, "Lonesome Man on a Train" is No. 1 in Tina's New York Series. No. 2 New York Series Read the blog about how I met this muse. Finalist: Principle Gallery, Alexandria, V.A. 2014 Urban Aspect Show Juried by Jeremy Mann. Commissions are my favorite part of being a working artist. It is always a comfort to know the works I put my heart and soul into will be loved and passed down for future generations long after I am gone. Click for more information about commissioning a work.